SAO PAULO, Brazil, May 7, 2013 – The Lubrizol Corporation and Merquinsa, a Lubrizol company, announce that they will be participating at Feiplastic 2013—The International Plastic Trade Fair—in Sao Paulo, Brazil from May 20-24, 2013, at stand #F60. Lubrizol and Merquinsa will be showcasing their integrated portfolio of Engineered Polymer solutions. In addition to their wide-range of Estane® Engineered Polymers, Lubrizol will be highlighting Merquinsa’s new high-performance specialty TPU (thermoplastic polyurethane) grades for industrial markets and applications. These grades are the latest TPU innovations for seals and gaskets based on PCL ―H‖ technology, more specifically, Pearlthane™ D11H92S, D11H95S and 11H94. This technology is also applied in industrial tubing, like pneumatic tubing. Hard resins like Pearlthane 11T65D (64 Shore D) are also available for pneumatic piston seal applications. Alexandre Prado, Latin America business manager, Engineered Polymers, notes “Merquinsa brings a great product portfolio enhancement to Lubrizol along with a unique network base of customers.With over 50 years of experience, Lubrizol is a global leader in Engineered Polymer technology and solutions. 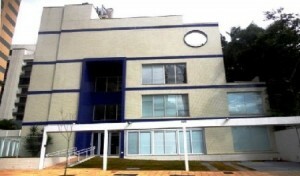 The addition of Merquinsa’s line of innovative technologies —aliphatic, bio-based, polycaprolactone (PCL), copolyester elastomeric, Pearlstick™ TPU for adhesives and solvent-free Pearlbond™ TPU product ranges for HMPUR and footwear— allows Lubrizol to provide unique solutions to various market segments by providing one source for the different materials required in an end-use application. 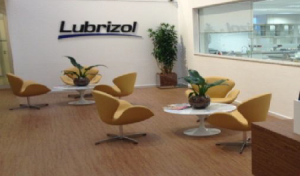 Lubrizol focuses on unique Engineered Polymer technologies and strong research and product development to help local manufacturers grow profitably in a wide-range of industries such as industrial, medical, electronics and sports and recreation. The opening last month of a new local office in Sao Paulo was driven by the willingness to offer close technical and marketing support, as well as highly technological solutions to local industries. Estane Engineered Polymers are highly versatile, thermoplastic elastomers that can be utilized in film and sheet, extrusion, blow molding, injection molding, over molding, calendaring and solution coating processes for applications in the industrial, sports and recreation and electronics industries. For more information about our Engineered Polymers solutions and the markets we serve, stop by booth #F60 or visit www.lubrizol.com/engineeredpolymers or www.merquinsa.com.